If you thought loot boxes were the only thing in games attracting the attention of various consumer authorities at the moment you were wrong – refund policies are frequently under the microscope too. According to the Norwegian Consumer Council, several digital video game platforms have inadequate refunds systems, but Nintendo’s refund policy for pre-ordered games is outrightly breaking European law. 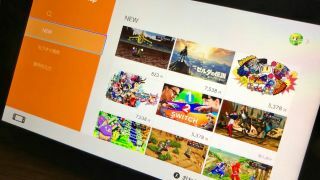 When it comes to digital purchases on its eShop, Nintendo states that “all purchases are final” and warns users to make sure they meet system and memory requirements before making any purchase final. The Norwegian Consumer Council takes issue with this policy, particularly when it comes to pre-orders, because it flouts the right of withdrawal in the European Consumer Rights Directive. And, because the supply of goods has not yet begun, pre-ordered games certainly don’t qualify for the Directive’s digital goods exemption. Another problem the Council has with stopping consumers receiving refunds for games they’ve pre-ordered is that incentives such as exclusive content are used to draw players in but if, before the game is downloaded, they change their minds they have no recourse. The Norwegian Consumer Council has now penned an open letter to Nintendo, expressing its concerns and asking if there’s a way for consumers to “cancel or withdraw from a pre-order or pre-purchase” and, if there is, if it can be shown. If there isn’t any option for this, however, the Council is demanding that Nintendo explain how this isn’t a direct violation of the Consumer Rights Directive terms. Steam was praised as "adequate"
However, it stated that Nintendo stood out from the rest for the particular unfriendliness of its stance on pre-orders. Despite being called out by consumer authorities, there’s no guarantee that any digital games platform will change its policies. In the meantime, the Norwegian Consumer Council advises consumers to hold off before pre-ordering titles until they’re 100% sure they know what they’re getting.